Andes is Outdoor Country | Andes Works! Andes affords residents and visitors wonderful opportunities for outdoor recreation. Hiking, snowshoing, cross country skiing, swimming, biking, fishing, hunting, paddling, the list goes on and on. Right in town, you can walk the Andes Rail Trail. See nature and history in one lovely walk. The trail is easy and accessible in an idyllic setting, suitable for individuals and families of all ages. 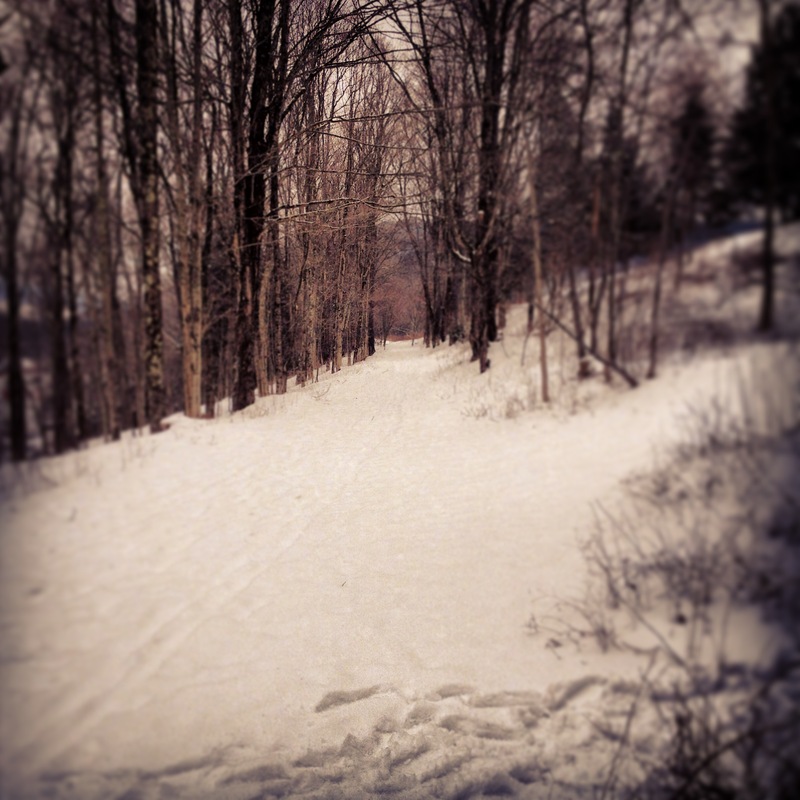 This trail is suitable for hiking, snowshoeing and cross country skiing. Bring your camera! See More…. Palmer Hill — our next effort will be to lay out a trail on Palmer Hill, starting at the breathtaking scenic overlook on Rt 28, just east of town. Town Cemetery – just past the post office you can enjoy the tranquility of an off-the-road ramble that the trails in the cemetery provide. Without having to worry about traffic or rocks and roots, you are able to immerse in our own thoughts, take in the historic headstones and their messages, and contemplate the scent of wild thyme crushed under foot. See if you can find the headstone of the famous lighthouse baby. Cross Country skiing and snowshoeing are welcome at the Delhi Golf Course. If you are the first one there after a nice snowfall, you’ll have to make your own tracks, but that’s part of the fun, isn’t it? 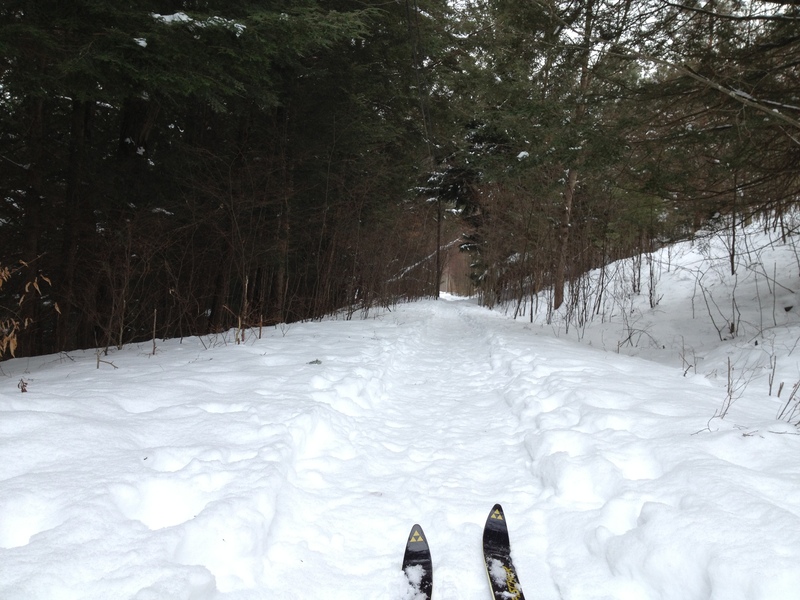 The Andes Rail Trail is also great for cross country skiing when there is adequate snowfall — there are some wet spots on the trail that might not have good cover without enough snow. Big Pond and Alder Lake – Once you see what a beautiful places Big Pond and Alder Lake are, you’ll want to keep them to yourselves. Both of these ponds are on state land with no services or lifeguards — swim the way we used to — bring your floats and rafts and anything else you want…including your dog! Of course, you are swimming at your own risk. They are also great for canoeing, tent camping, and fishing. A one-mile loop trail circles the Alder Lake, mostly flat and dry. You can hike from Big Pond to Alder Lake to take in both of them. Ruins of the old Coykendall mansion look over Alder Lake. Little Pond State Campground If you want the lifeguards and other services in a lovely setting, visit Little Pond. Plenty of hiking trails in the park. 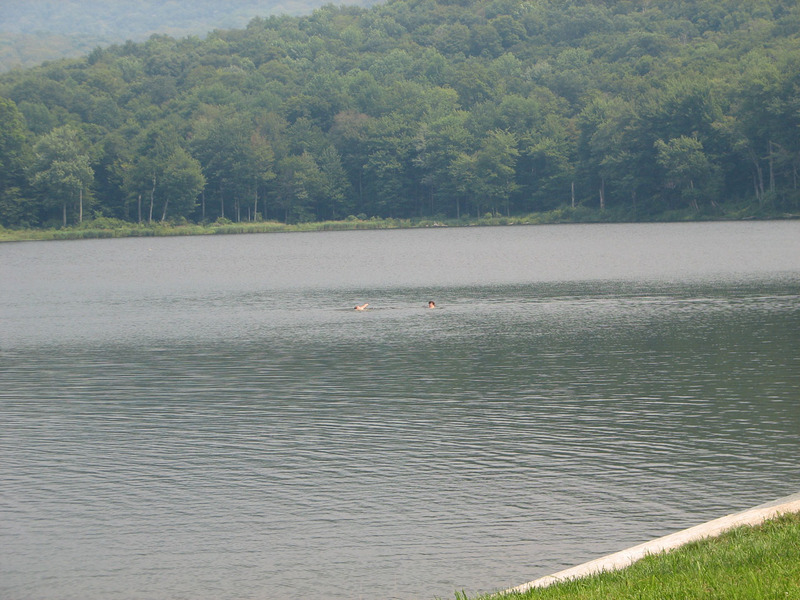 2012 marked the opening of the Pepacton reservoir for non motorized boating. For information on the recreational boating program see here and here. The roads around the reservoir make for great road biking. For a relatively flat 20 mile loop, you can start at the Shavertown bridge and bike to Margaretville and back. 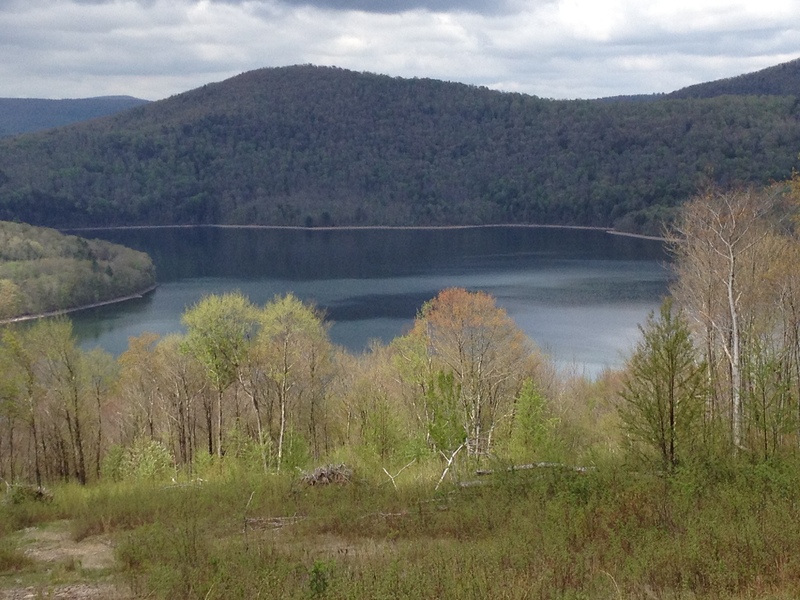 For a challenge, try the more mountainous 33 mile loop towards Downsville and back. 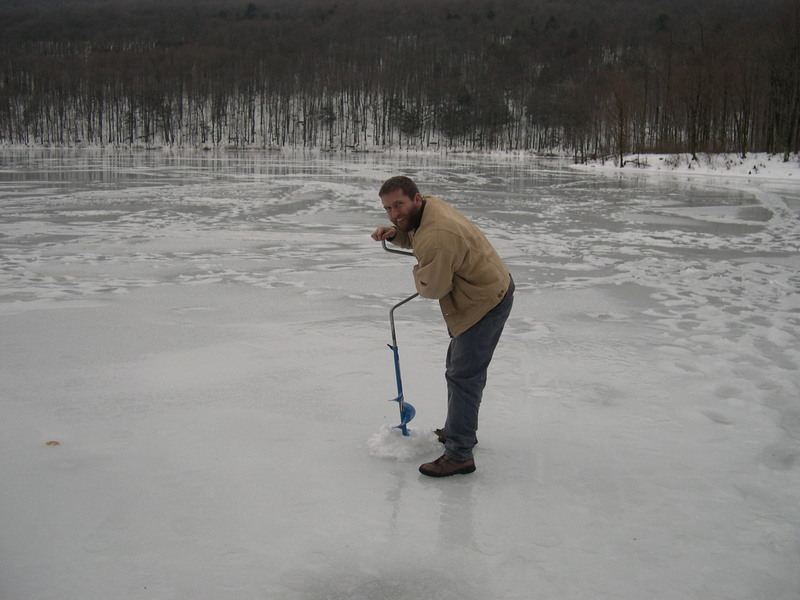 Big Pond, mentioned above, is open for trout fishing year-round, which makes Big Pond a Catskills hot-spot for ice-fishing in winter. see the DEC website for local fishing information.